The Dane Axe became popular during the 10th and 11th centuries as the Danes fought to gain strongholds in England, Normandy, and Ireland. The very large Dane Axes were regarded as the weapons of elite-Viking warriors, but as time passed the Dane Axe became popular on both sides of the battlefield. It is said that Harold’s bodyguards during the Battle of Hastings were wielding Dane Axes. 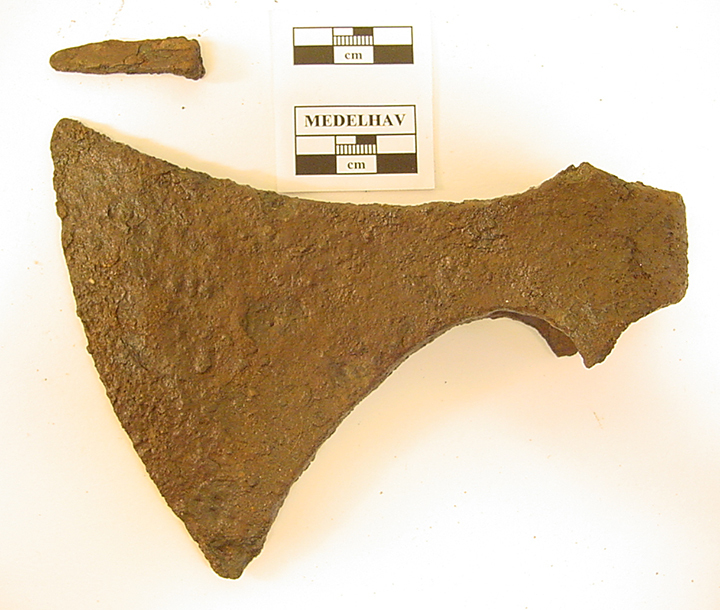 The Dane Axe became so ubiqiutous that they were continued in use well into the 12th century and later. 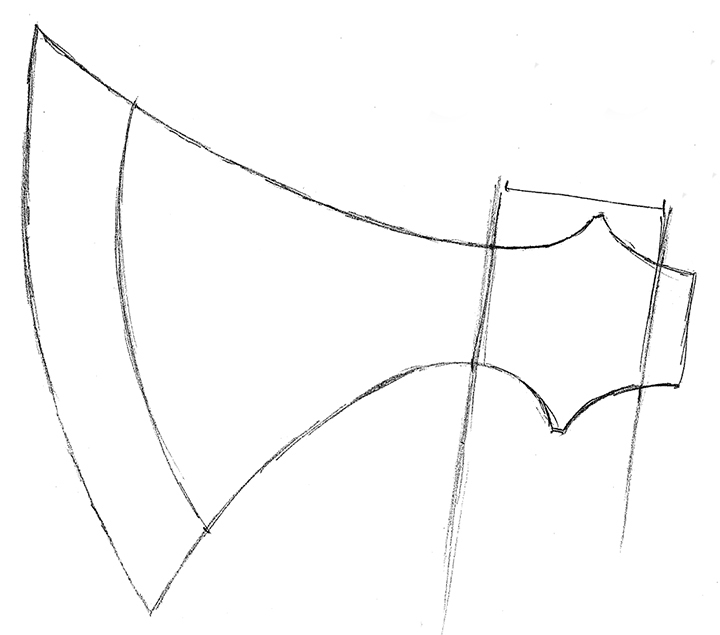 This style of axe, for the most part, is a deceptively light and agile weapon. A careful study of even the largest axes will show that the body of the axe was forged quite thin, and a thicker bit made of higher carbon steel was forge-welded to the edge. It is clear that these axes were not made to be work axes because they lacked the mass and balance to fell trees and such. They were, on the other hand, perfect for killing a human. 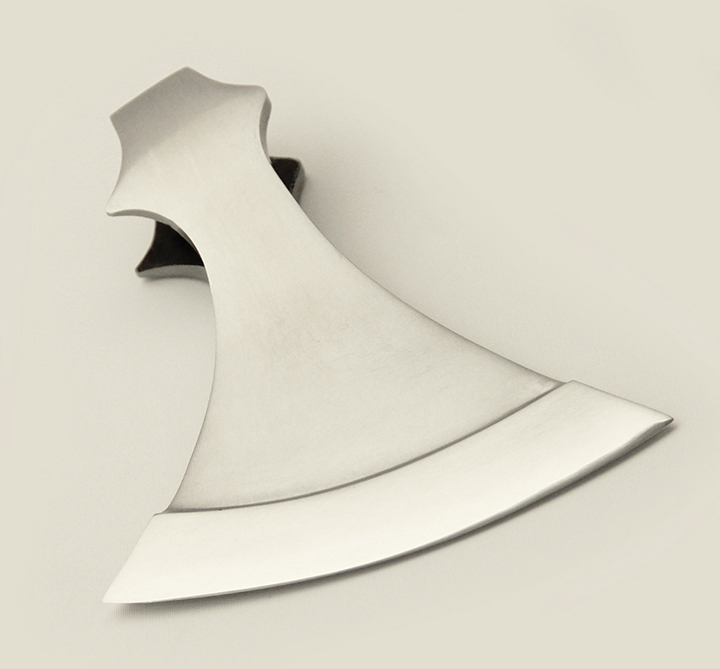 Our Medium Dane Axe is a recreation of a nice axe that is in the colllection of Uppsala University. In spite of the heavy corrosion, the graceful shape of the body is quite evident as is the character of the thicker reinforced edge. This was a smaller version of the classic Dane Axe, but it is clear that even with its smaller size this would have been a brutal weapon in the hands of a seasoned warrior. To get the correct shape of the historical original, and keep costs down, the body of the axe is cast in mild steel and the high-carbon edge forge-welded to the body by Eric. The axe is hand-finished and polished. Due to the nature of hand-making this axe, it may have small surface blemishes and slight asymmetry, just like the historical originals. 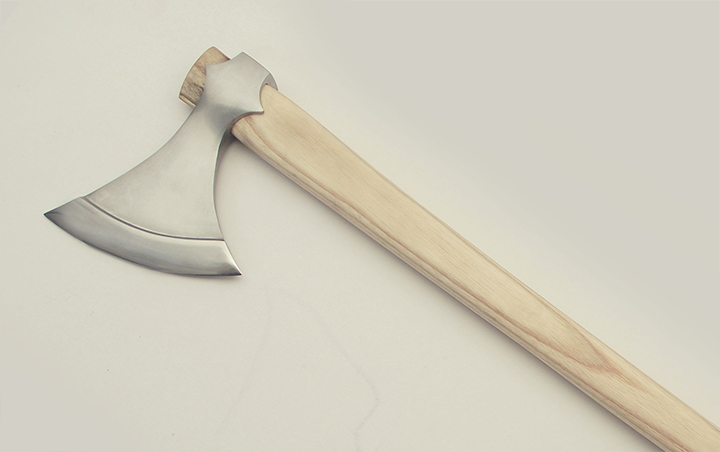 The axe is available as the head only, or with a hand-shaped 30" ash haft. The axes will be available in short runs/limited quantities. Length from spine to edge: 6"